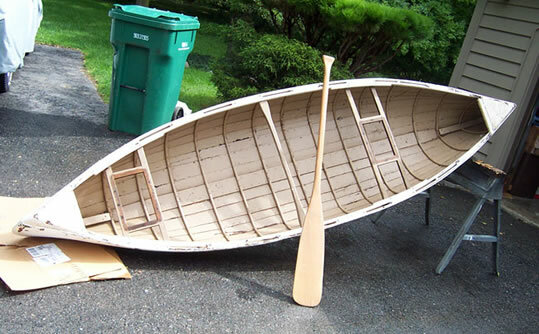 This canoe was built in an advanced woodworking class at a local school. It was used a couple times then hung from the ceiling in a dry garage for 45+ years. 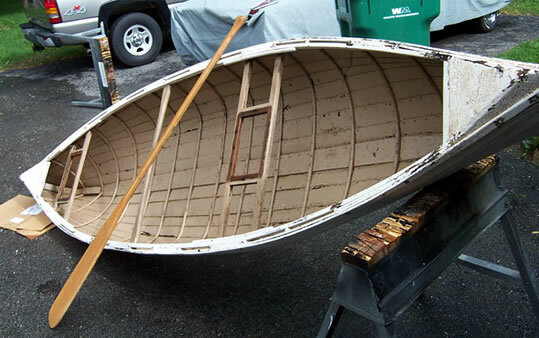 There is a 50 year old 5'6" cedar paddle that goes with the canoe. 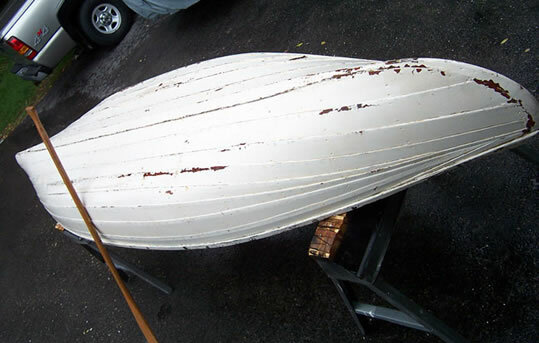 It has a wonderful patina and would make a nice decoration as-is, or restore project. 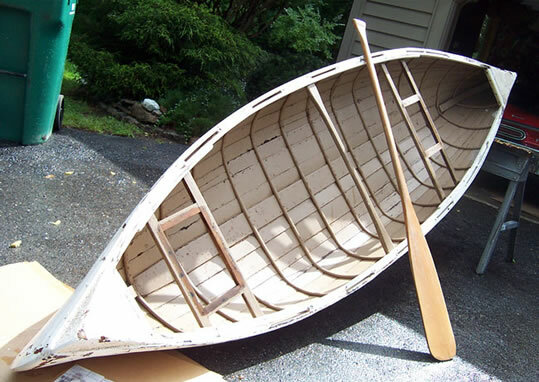 There is no rot, anywhere on this canoe. 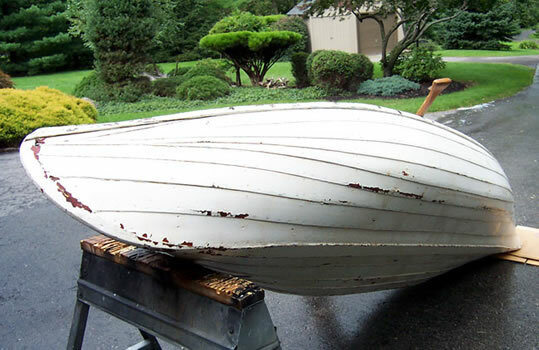 This canoe only weighs 54 pounds and is a work of art. It would lok incredible stripped and clear-coted.